Foodies around town know her best as the co-founder of the super-successful Red Apron gourmet food shop and take-home meal service on Gladstone. 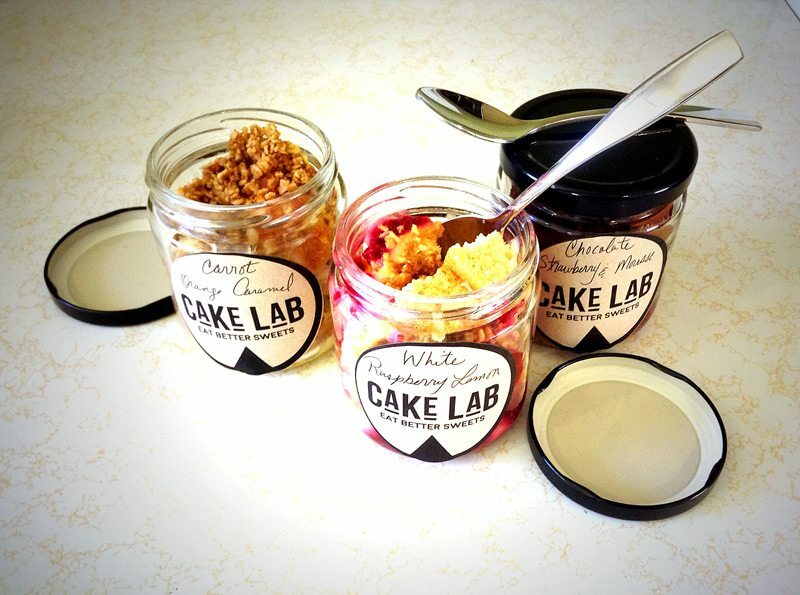 Now Jo-Ann Laverty has gone solo, testing her entrepreneurial chops on a new and tasty endeavor she calls Cake Lab. Laverty has been experimenting with sourdough, developing a moist sourdough cake that she’s using as the heart of a series of quirky and delicious cakes-in-a-jar. Carrot Orange Caramel; White Raspberry Lemon; and Chocolate Strawberry & Mousse are three of the flavours on tap. Think of these treats as a cake version of an Eton Mess, chunks of cake and sauce layered to form a scrumptious, deconstructed dessert. City Bites Hot Tip: Find Laverty at the Ottawa Farmers’ Market with the cakes in a jar as well as more conventional all-in-one-piece cakes. We bet you can’t limit yourself to trying just one.